Take advantage of our sale on HP Color LaserJet CP6015x toner and power your office to success for less! We offer remanufactured toner cartridges that install easily into your compatible printer model and deliver professional-quality print work for an affordable price. You’ll get up to 16,500 printed pages from our black remanufactured HP 823A toner and up to 21,000 pages from our cyan, magenta, and yellow remanufactured HP 824A toner cartridges. Not only do our cartridges match the OEM (original equipment manufacturer) page yield, they’ll also give you the same jaw-dropping print quality you’ve come to expect from your OEM toner. There’s no need to pinch pennies when you get your toner from 1ink.com. These cartridges function just as well as OEM HP toner that you’d buy from an office retail store, but you’ll be able to cut your print expenses by over 60% by switching to 1ink.com! We even offer a bundle pack of four cartridges to help you get even more savings! 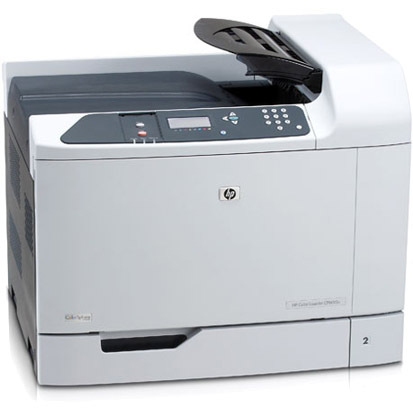 Find the toner you need for your HP Color LaserJet CP6015x printer at a price you can actually afford with 1ink.com.